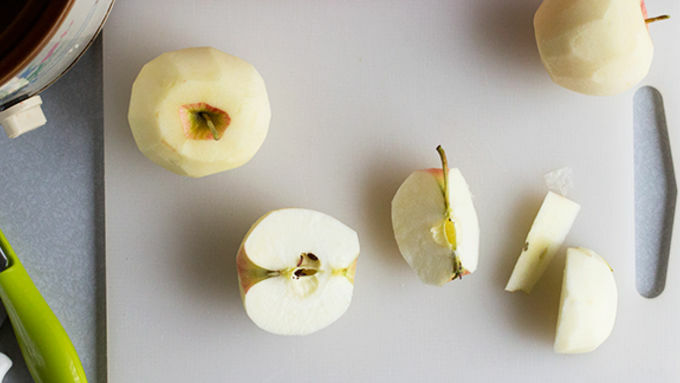 Peel, core, and chop apples into 1 inch pieces. 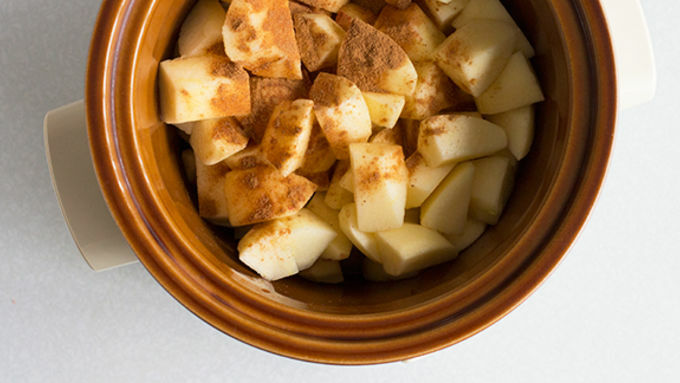 Add apples to slow cooker with juice/cider and cinnamon/pumpkin pie spice. Cook for 3 hours on high, or until apples have become tender, stirring the apples every 45 minutes. Mash with a potato masher or give it a go in a food processor until desired consistency is reached. It’s that time of the year again where APPLES ARE EVERYWHERE. And sometimes you’re tempted to buy a 5 lb. bag because you think you’ll make a bunch of apple pies and then you buy it and you’re like, NOPE. 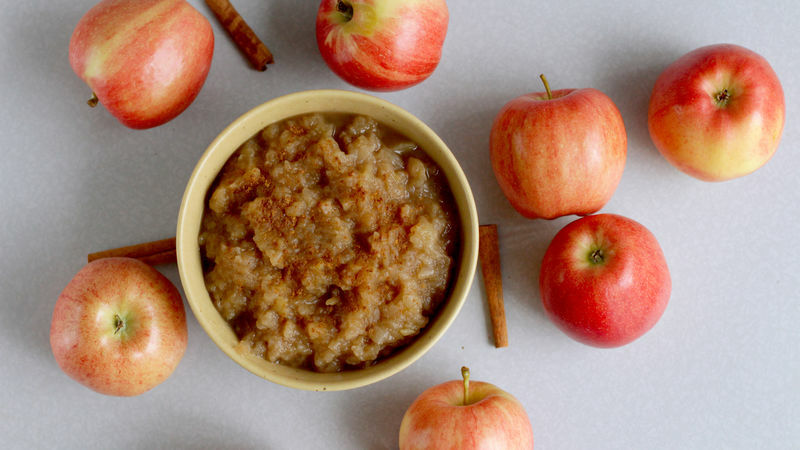 The next best thing to do with all those apples is make a batch of homemade applesauce. It’s so easy with a slow cooker. Apples get peeled, cut up, thrown into the slow cooker with some spice and apple juice and in a few hours you’ve got applesauce. Bing bang boom. INGREDIENTS! And by ingredients I mean apples, apple juice or cider, and cinnamon or some sassy pumpkin pie spice. Toss apple pieces into a slow cooker with the rest of the ingredients. Set to high, wait three hours and you’ve got applesauce. Depending on how ripe the apples are you might have to use a potato masher or a food processor to make it really smooth. I prefer a chunky sauce. Dish it up, sprinkle with cinnamon and grab a spoon!